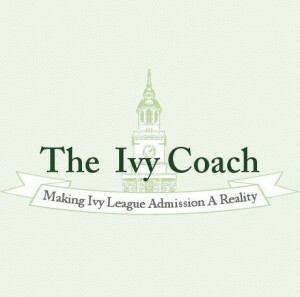 We at Ivy Coach believe membership in the Independent Educational Consultants Association isn’t worth the paper it’s written on. This blog, originally posted on February 16, 2015, is being reposted today in response to the Independent Educational Consultants Association’s (IECA’s) demand that we remove it. First the Independent Educational Consultants Association tried to tell us what we can and cannot charge. And now they’re trying to tell us what we can and cannot write? Nothing we state in either blog about the Independent Educational Consultants Association is inaccurate and, as we have been advised, we are entitled to express our opinion to our large reader base of how we believe that membership in this organization isn’t worth the paper it’s written on. It is all truthful and thus we are free to write whatever we so choose…and indeed there is more to come. This is America. Perhaps the Independent Educational Consultants Association should consult the United States Constitution. If you haven’t read Part 1 of our blog in which we we believe we substantiate that membership in the Independent Educational Consultants Association isn’t worth the paper it’s written on, let’s recap. The Independent Educational Consultants Association had a gripe with us that we charge high fees and seemed astounded that when they confronted us about our fees, we made no apology. This is America and we can charge what the market commands, what our expertise commands. And while our Founder has been a member of the Independent Educational Consultants Association in that we’ve sent them $600 a year, our Founder never placed a high value on our membership because it never did anything for us as a private college counseling firm. But let’s address their second gripe. Their second gripe is that we “offer a guarantee,” something that the Independent Educational Consultants Association claims to expressly not allow. But, to be clear, we offer no guarantee of college admission. We offer a money-back guarantee as publicized in our blog about the million dollar money-back guarantee. We don’t guarantee that these students who sign up for this million dollar package will gain admission to their top choice college. Not at all. What we do guarantee is that if they don’t gain admission to their top choice college, our services will be free to them. They are guaranteed to get their million dollars back. To our understanding, our offering of our services potentially free of charge disturbs the Independent Educational Consultants Association. And we think that is absolutely absurd, not to mention, we believe and have been advised, a violation of law. If we want to work for free (and this is a rarity because our students, overwhelmingly, tend to gain admission to their dream colleges), what right do they have to tell us that we can’t? Who are they to tell people that they can’t get their money back if we so choose to offer it back to them? 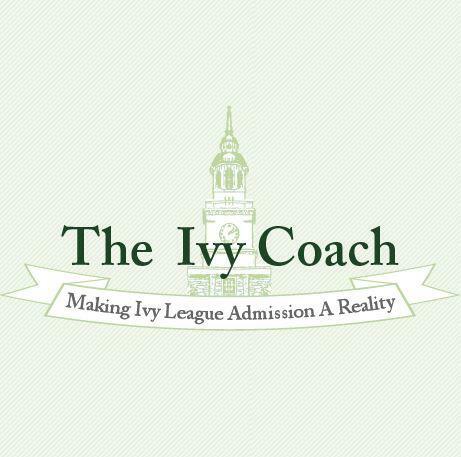 The fact is, the only reason the Independent Educational Consultants Association is likely upset is because of the dollar amount on that money-back guarantee, but it’s a dollar amount people are willing to pay Ivy Coach. We make no apology for this nor will we ever. And we make no apology — nor will we ever — that other private college counseling companies can’t command such fees. But let’s check the facts. Our Admission Assurance Workshop has been in existence since well before our Founder became a member of the Independent Educational Consultants Association and it has been clearly mentioned on our website for years, which is all easily verifiable. Our Admission Assurance Workshop also offers a money-back guarantee. And yet our Founder was admitted as a member of the Independent Educational Consultants Association in spite of the fact that we clearly offered a money-back guarantee for our Admission Assurance Workshop. And why was our Founder admitted as a member? Well, allow us to tell you the story, which our emails with the Independent Educational Consultants Association back up. Our Founder had initially applied for membership — which is considerably higher than any college application fee, by the way (and they complain about our fees!) — but she was turned down because there is a true statistic on our website that over the last twenty years, 100% of our students have gained admission to one of their top three college choices and 93% have gained admission to their top college choice. It was apparently a violation of their standards of practice. And yet our Founder then approached the CEO of the Independent Educational Consultants Association, Mark Sklarow. It was brought to Mr. Sklarow’s attention at the time that a number of members of the Independent Educational Consultants Association featured similar statistics on their websites. He mentioned he would review our candidacy. Two years passed and we ran into Mr. Sklarow again at a conference. When asked why we hadn’t yet been approved, he stated that he would look into it. Then, seemingly out of the blue, our Founder’s membership was approved. We made no changes to the content of our website with respect to the guarantee offered in the Admission Assurance Workshop or the statistic that appears on our homepage. And yet our Founder was approved. That leads us to surmise that Mr. Sklarow’s organization was in need of membership — and cash — and was willing to violate the ethics of his organization to admit our Founder as a member. And now we’re being scolded for doing nothing differently than before our Founder was approved for membership? The logic is confounding indeed and the irony is not lost on us. But we’ve got so much more to share to the hundreds of thousands of readers of our college admissions blog about the Independent Educational Consultants Association so be sure to check back soon. Bye Felicia! They should be renamed International Educational Communists Association. Funniest part is they tried to say you charge too much. Hello..capitalism? What I’ve thought for years and never said. Kudos to you for finally saying it in your unique way.